Can the curiousity become commonplace? 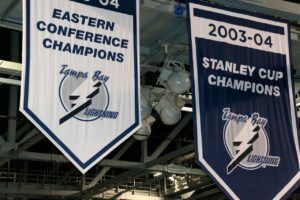 That’s the question that will be answered when the new DAS network at Amalie Arena in Tampa comes online — powered by 20 MatSing “eyeball” antennas, the big, white, spherical systems mostly previously seen as quirkily conspicuous portable cellular equipment for large gatherings like outdoor concerts. 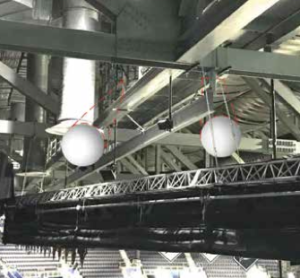 Over the past year, however, the MatSing balls have been creeping inside sports venues, most notably making a permanent appearance at U.S. Bank Stadium for Super Bowl 52, when Verizon wireless hung two MatSing antennas from the rafters to provide cellular coverage for sideline-located media photographers. 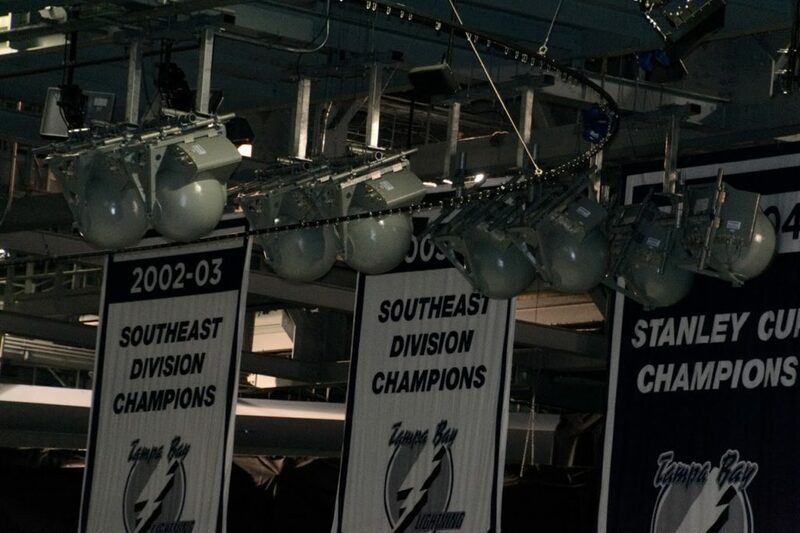 Now in what is believed to be the largest single installation of MatSing balls at one time, AT&T is rebuilding the distributed antenna system at Amalie Arena (home of the NHL’s Tampa Bay Lightning) with 20 MatSing balls, which house a combined 362-plus antennas due to come online before the next hockey season begins. According to AT&T, the new system will boost LTE capacity by “nearly 400 percent” compared to the previous system installed at the arena. 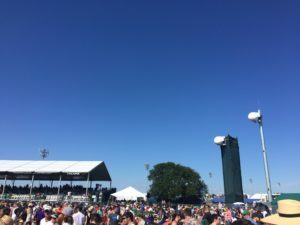 The new system is also sort of a coming-out event for MatSing the company, which has largely remained in the background the past few years as AT&T and Verizon Wireless have used its unique “lens” antennas to bring cellular coverage to events as diverse as the Coachella Music Festival, the presidential inauguration and the Indy 500. But as cellular carriers and venue owners and operators look for ways to increase density or granularity of coverage, MatSing’s unique gear may find its way into more permanent deployments, especially if the Amalie Arena network proves successful. What sets MatSing ball antennas (also called “Luneberg Lens” antennas) apart from other wireless gear is the MatSing ball’s ability to provide a signal that can stretch across greater distances while also being highly concentrated or focused. According to MatSing its antennas can reach client devices up to 240 feet away; for music festivals, that means a MatSing antenna could be placed at the rear or sides of large crowd areas to reach customer devices where it’s unpractical to locate permanent or other portable gear. By being able to focus its communications beams tightly, a MatSing ball antenna can concentrate its energy on serving a very precise swath of real estate, as opposed to regular antennas which typically offer much less precise ways of concentrating or focusing where antenna signals go. And while the “giant eyeball” or “golfball” antennas are often very easy to spot in outside deployments, for indoor arenas or domed venues the MatSing balls can be tucked up against rooftop beams and catwalks, where they can go unnoticed alongside the other structural attachments like heating ducts, speakers and lighting. 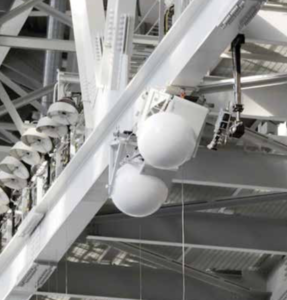 For venues concerned about the number of antenna placements growing near seating areas, a ceiling-mounted MatSing ball network could be an elegant way to add capacity without compromising aesthetics. 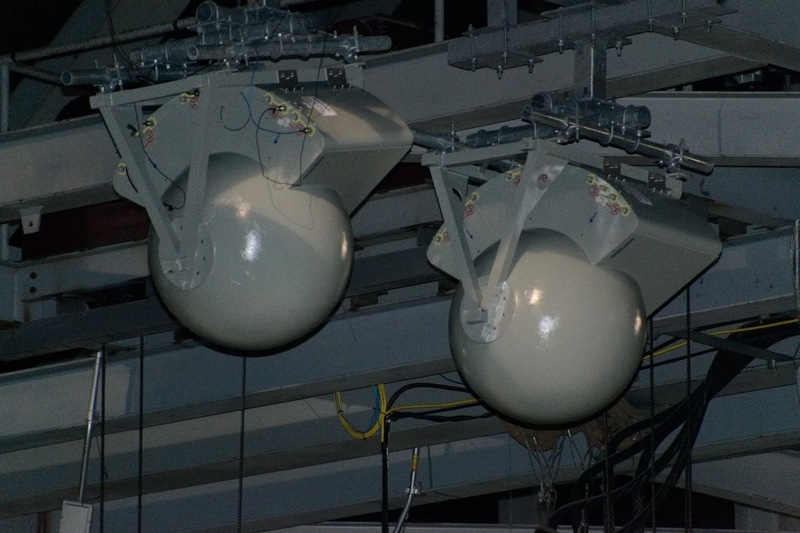 The MatSing balls can also be used at outdoor arenas, as long as there is someplace to mount them; at the Saskatchewan Roughriders’ Mosaic Stadium in Regina, Saskatchewan, the antennas already have a nickname of the “dingle balls,” and are a key part of an aggressive wireless coverage strategy for the 33,000-seat home of the CFL’s Roughriders. Without getting too deep into the technology behind the antennas, MatSing chief product officer Tony DeMarco suggested comparing the focusing ability to that of a contact lens. 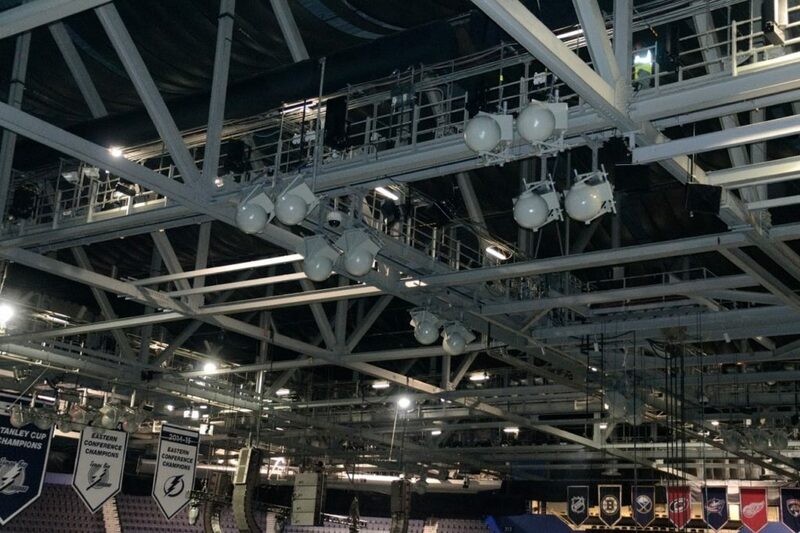 For the Amalie Arena deployment, AT&T is using a version of the MatSing antenna that can provide up to 18 different beams of radio frequency, far more than most standard antennas. (Other larger versions of the ball antennas can support even more connections.) According to DeMarco, the beams can then be easily focused by using a laser to point down to seating areas, a much more precise configuration than other antenna technologies. Unlike other deployement methods, like under-seat antenna enclosures, the MatSing balls typically have a clear line-of-sight path to potential users, which DeMarco claims can offer faster, better connections.